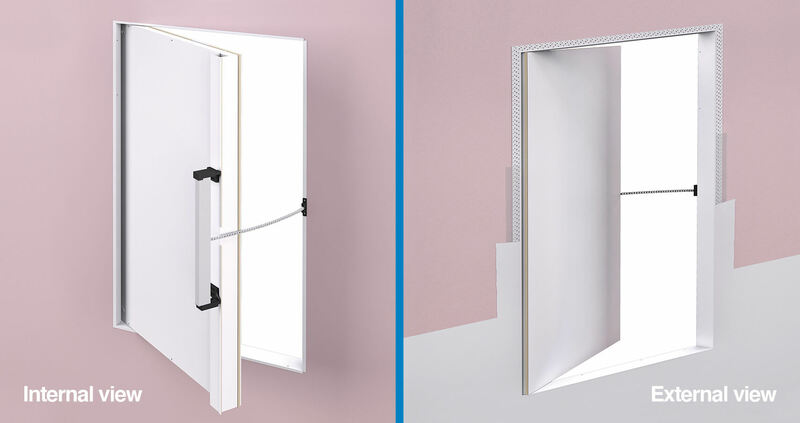 The Fuma door smoke control system features a discreet design that facilitates the ventilation of smoke from a fire. 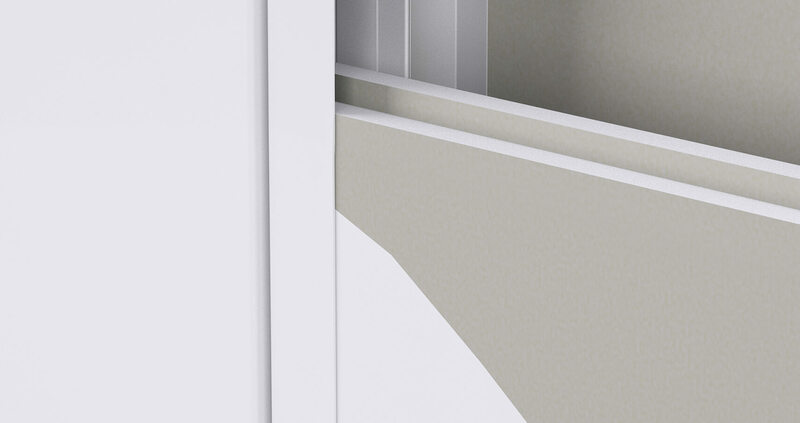 This is the first completely concealed Automatic Opening Vent (AOV) that fuses sleek and minimalist styling with superior functionality and excellent smoke ventilation. Fuma is delivered on-site fully hung, minimalising installation work and speeding up your project. 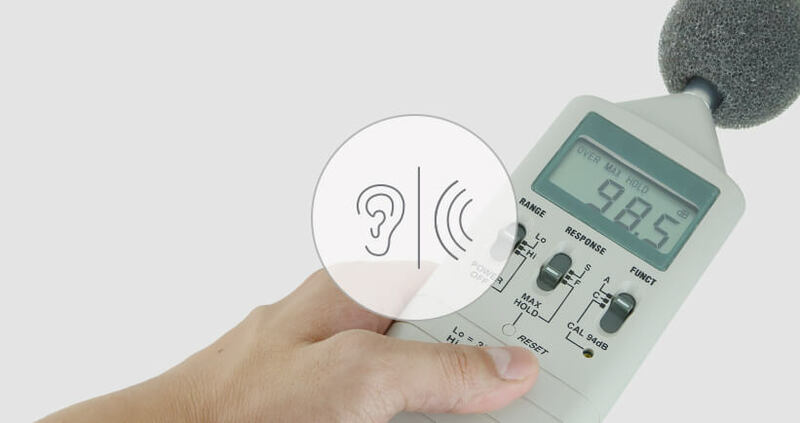 It simply needs to be fitted to the specified opening and connected to the BMS (Building Management System). The most popular version, the concealed frame allows you to fully conceal your frame providing an almost completely hidden doorset. 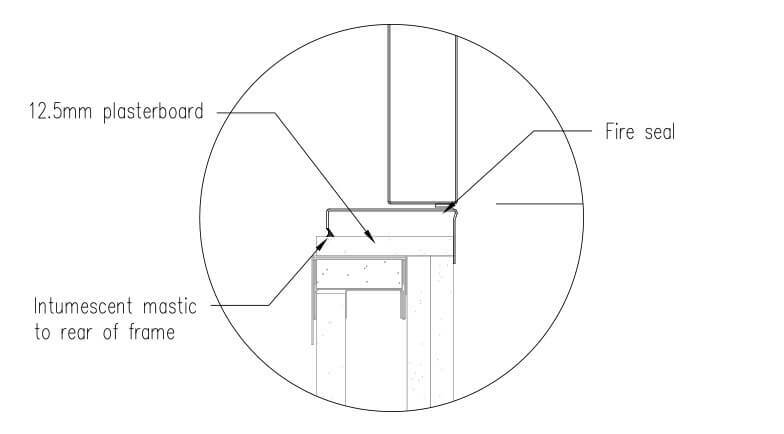 Where aesthetics are not so key or you may wish to install the doorset after the tape and jointing/plastering the Fuma AOV can be provided with a visible frame that is surface mounted on top of the wall surface. The doorset can be provided in a textured powdercoated finish which allows the door to be painted in with the rest of the wall. 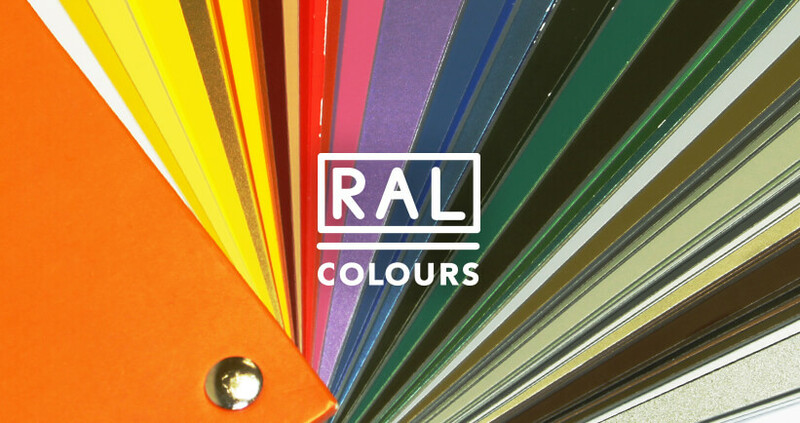 The doorset can be powdercoated to any standard RAL colour to a 20% sheen as standard. 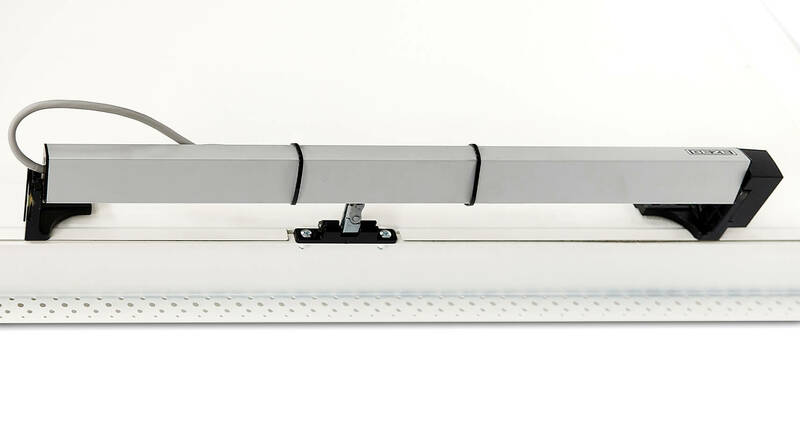 The Fuma AOV utilises a unique quick release pivot hinges that facilitate extremely simple and quick door leaf installation. Once the vent is installed the hinges are completely concealed. Innovative safety technology from GEZE powers the Fuma AOV. (Specified by manufacturer depending on size). 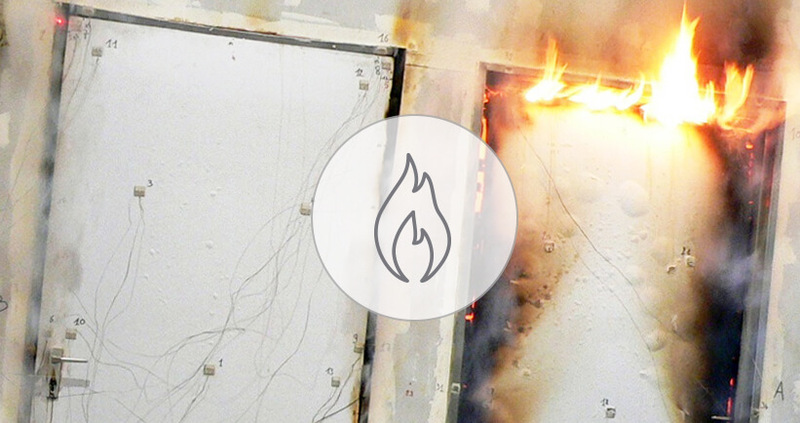 The Fuma AOV has been fire tested for 2 hours for single door configurations both side hung and bottom hung. 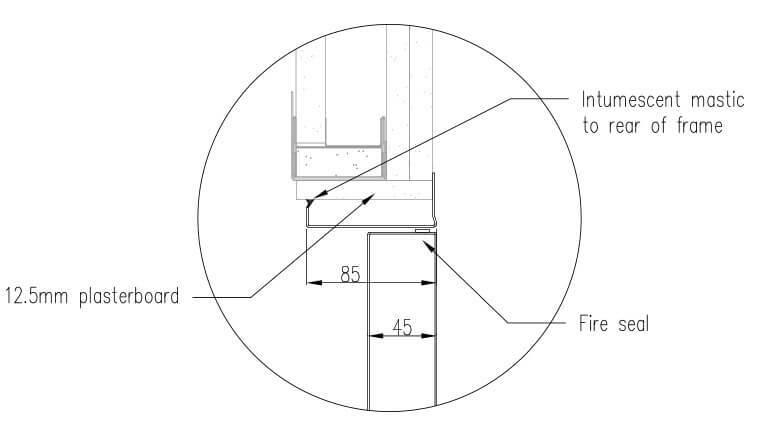 To ensure the fire integrity is not compromised it is important that the wall partition is suitable and also the interface between the partition and doorset is correct. 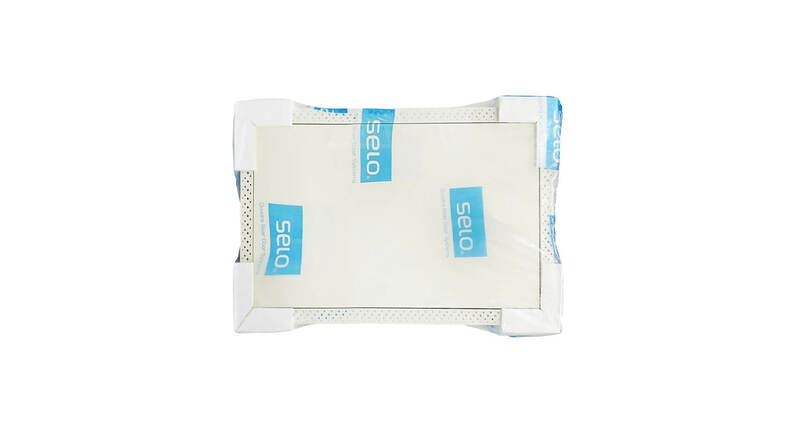 At Selo we are able to provide advice on your partition and interface details to ensure the fire regulations are met properly in conjunction with the Selo doors. Please contact us on 020 3880 0339 where our Project Consultants would be glad to assist. 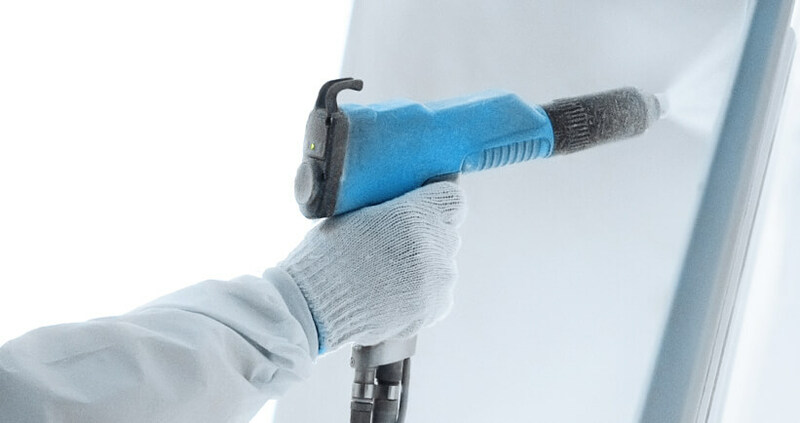 The Fuma AOV comes packaged fully protected with polystyrene corners and heat shrink wrapped in heavy duty polythene. 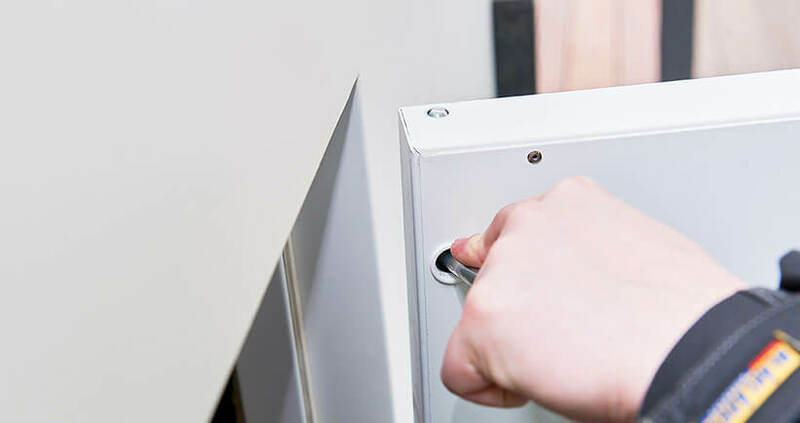 Corex protective sheets can also be provided for protection of the door face once installed. 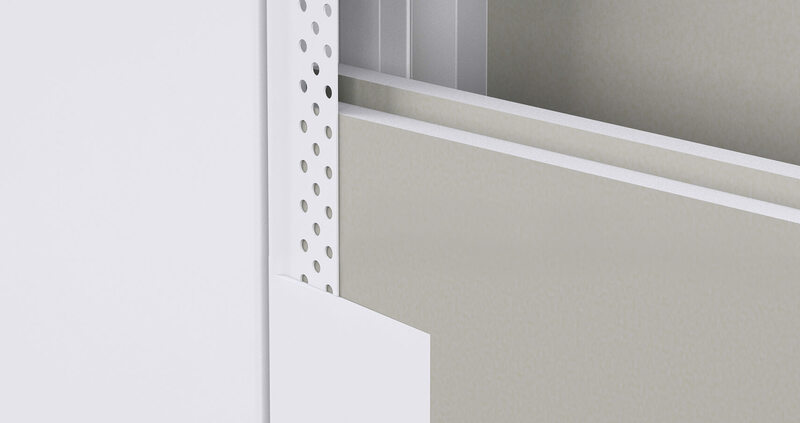 Fuma AOV can be fitted to either a steel or timber stud wall construction. 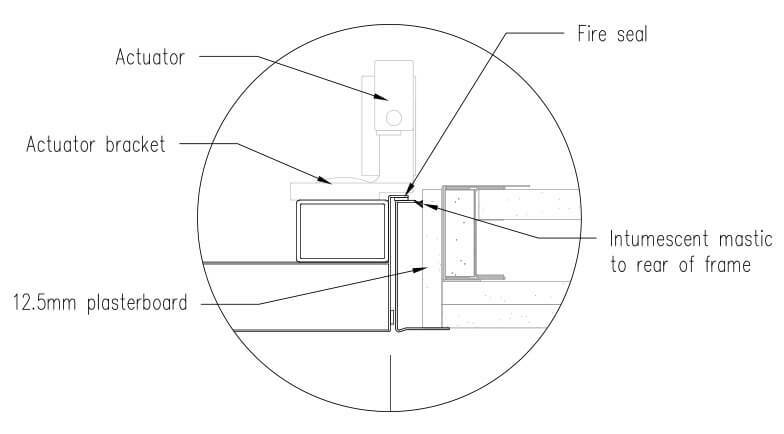 Predominantly, the Fuma AOV smoke control system is best in situations where shaft-wall and drywall construction are used. 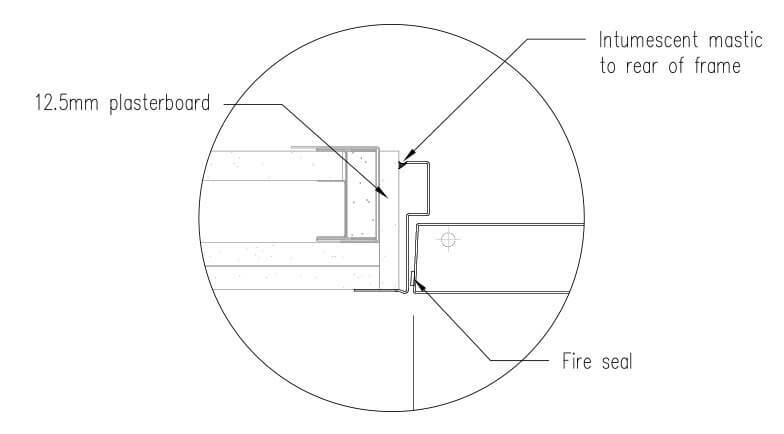 The following technical drawings of the Fuma can be used as a guide for how best to install your AOV smoke removal door system.